PACE Annual Convention & Expo 2019 (ACX’19), March 31 – April 2 in San Antonio, Texas. Our annual National Convention & Expo is the signature event for customer engagement/contact center professionals, bringing together industry executives from around the globe. 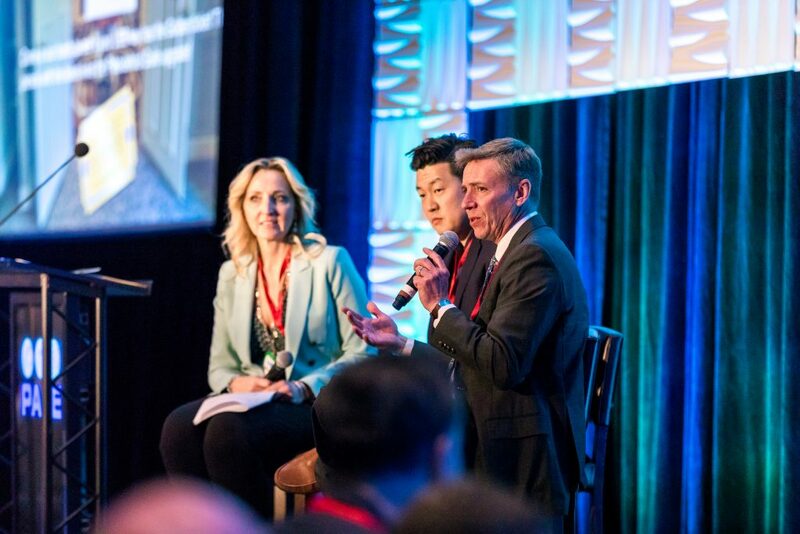 ACX’19 combines high-powered networking and business development, coupled with cutting edge educational content. ACX’19 will highlight those who are shaping and innovating the world of contact centers and customer engagement. The sessions will have actionable solutions related to modern contact centers, customer engagement, customer experience and customer contact technology that attendees can take back to their companies right away. We invite you to share your best practices, latest technological advances, tips and proven solutions by presenting at this year’s convention! We are seeking subject matter experts in all aspects of customer experience and contact center optimization to present at our upcoming convention. Of special interest are presentations outlining your unique approach, success story, case study or demonstration of how you impacted your organization’s strategic goals. We encourage presentations across an array of topics including customer experience and loyalty management, contact center operations, emerging technology and compliance. Sessions should be 45 minutes in length, including time for a short question-and-answer period. Speakers may be placed on a panel with other selected speakers on a related topic. Preference is given to PACE members. Presentation should not be used solely as a sales pitch or commercial for your company. Case studies are acceptable, but sessions must be educational in nature. What is your speaking experience? If your presentation is not selected for the PACE Convention & Expo, would you like to be considered for potential speaking opportunities at a regional event? The deadline for submission is January 4, 2019. Selected speakers will be notified within 2-3 weeks of the deadline. Please send all materials to Chris.Haerich@paceassociation.org. Letter of Acceptance: If your proposal is selected, an electronic Letter of Acceptance will be sent to you by January 18, 2019. It will include a timeline and templates to assist you in planning. Presentation Guidelines: If your proposal is accepted, you are required to forward your session content on the PowerPoint template provided by PACE, by the deadline included in your Letter of Acceptance. Your materials will be made available to convention attendees. Expenses: Selected presentation submitters will receive a complimentary convention registration. A promotional code and link to the registration website will be included with your acceptance email. Speaker travel, accommodations and other expenses are the responsibility of the presenter. Please contact Chris Haerich at chris.haerich@paceassociation.org with any other submission-related questions. For general convention-related questions, please contact Kayci Vincent at kayci.vincent@paceassociation.org. We look forward to your participation at PACE ACX’19. Thank you for your consideration and we look forward to seeing you in San Antonio!